On Wednesday night (April 8, 2015), I had the opportunity to attend an event hosted by Canadian Club. The event was held at Social Restaurant & Lounge in the Byward Market. 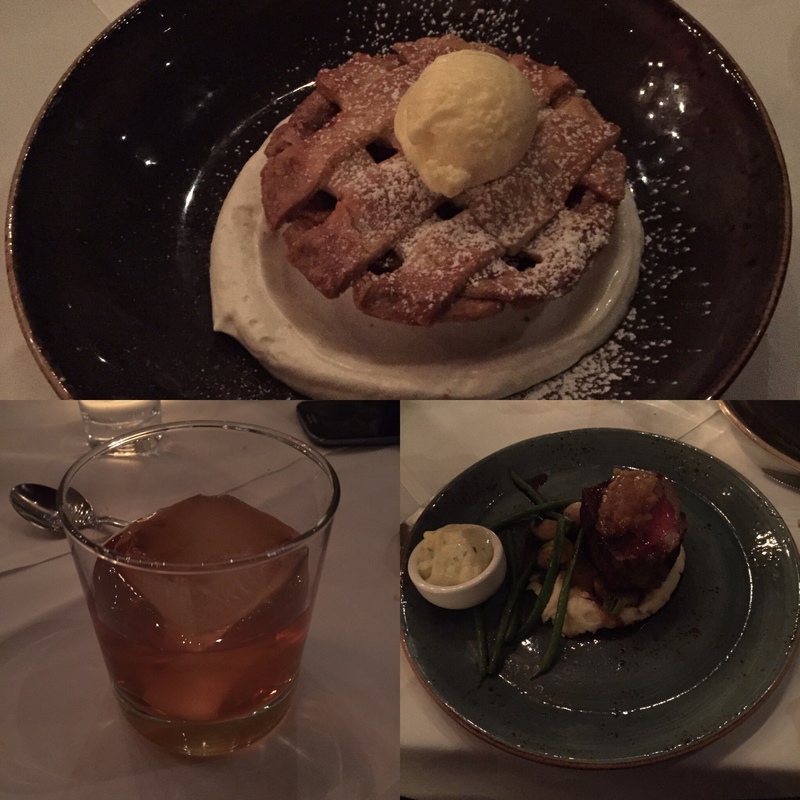 There was a whiskey portfolio tasting, a three course dinner and a cocktail demo. It was great to see friends at the event and they probably were a bit amused with my antics during the portfolio tasting. What I learned about the whiskey is that it’s gaining in popularity in Canada and outside of Canada. Being a non-alcoholic drinker, whiskey is pretty unique as it brings a mix of sweet and spicy taste to drinking it. There’s something rich to trying out whiskey. Like several people said at the event, it’s good drinking whiskey when relaxing at home or at a fireplace. Canadian Club whiskey brings a calmness. 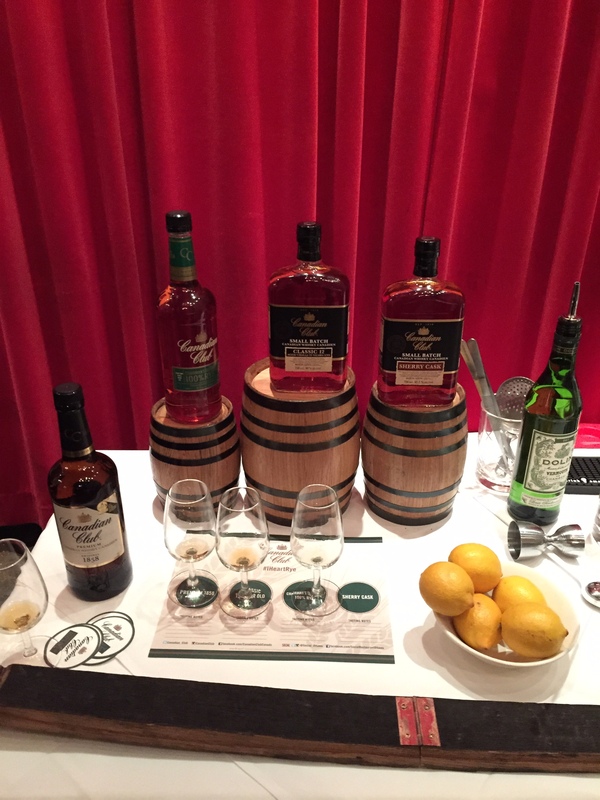 Even though, the Chairman’s Select 100% Rye was the main focus, Canadian Club also had other whiskeys from the portfolio tasting, they were Premium 1858, Classic 12 Year Old and Sherry Cask. 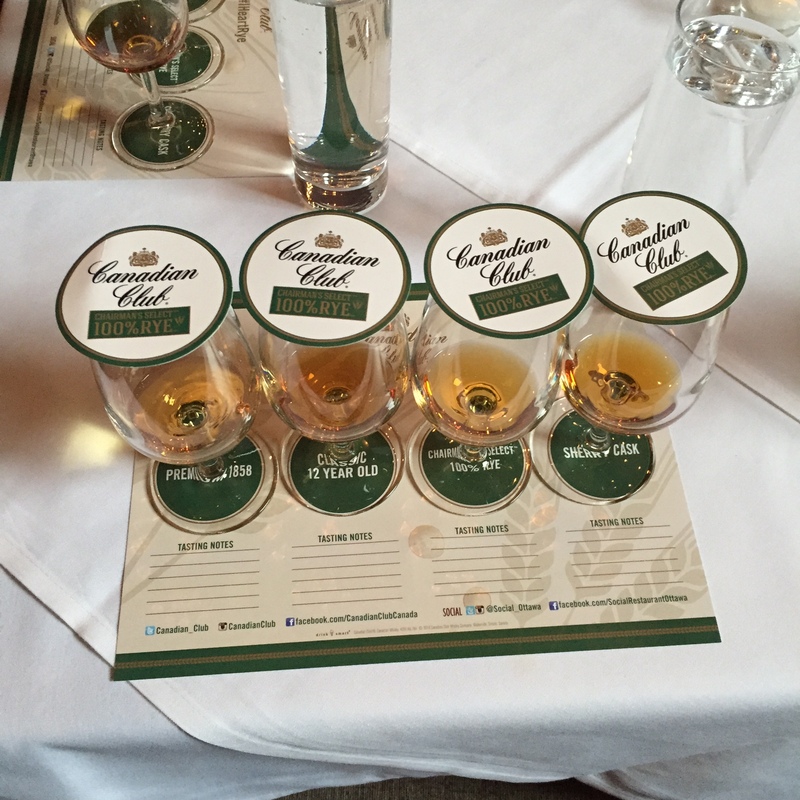 All of those had varieties of taste to the Canadian Club brand. Overall, it was a great event and much credit goes out to Canadian Club and the organizer for coming to Ottawa and hosting it. Thanks also to Social Restaurant for the good service and excellent quality of the dinners made. You can check the photos out over at Flickr by clicking HERE.